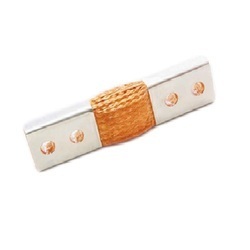 We are a leading Manufacturer of copper foil flexible connector, copper braided flexible and hard copper connector from Delhi, India. 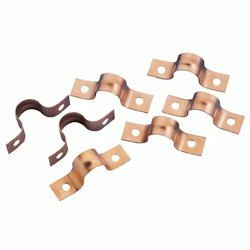 We offer the finest quality Copper Foil Flexible Connector that is manufactured by stacking several foils of electrolytic copper and then applying high current under high pressure. These types of flexible connectors are commonly used as the flexible expansion joints for connecting the bus bars in different applications. Our company is highly recognized in the industry for offering a diverse assortment of Copper Braided Flexible to the patrons. This is developed using exceptional quality material which is brought from reliable and consistent vendors of the market. Highly recognized in the industry owing to their longer working life, flawless finish and rigidness, these products are provided at market leading rates. 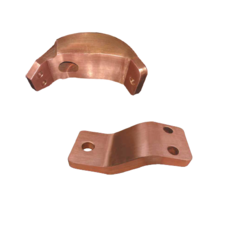 We introduce ourselves as reputed and trusted the organization to offer a broad array of Hard Copper Connector. Offered range of connector is designed to take up linear expansion and contraction and compensate for misalignment in applications requiring intentional movement. These connectors are manufactured under the supervision of our vendor's skillful and experienced professionals.